The social media landscape in China is vastly different from the rest of the world. Names like Weibo, WeChat and YouKu dominate the scene. 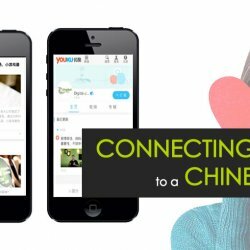 There are well over 600 million registered Weibo users and more than 500 million active WeChat users of which 100 million are outside China. Additionally, Facebook, Twitter and other famous international platforms are blocked in the mainland of China. Our social media team can work with you to create a strategy to connect your brand with a Chinese speaking audience living in China or overseas. And given our experience, we will ensure you expand your audience, grow your following and manage your presence to maximise the opportunities social media. By creating a flexible and dynamic social media marketing strategy, we can help you to position yourself on social media that will give you the right mechanisms to engage with your audience, build brand value and ultimately drive sales. We design and implement strategies to work in conjunction with your other digital and conventional marketing activities to maximise the results of each channel. Digital Jungle can provide a total social media management service including strategy, implementation and ongoing management. We can also create a social media response strategy to take advantage of opportunities that arise. Digital Jungle will research and reach-out to specific KOL’s based on their ability to impact the social media program. Negotiate any fees, set clear objectives and manage the KOL engagement experience. KOL engagement programs are important elements to any Chinese social media program yet many Western companies fail to consider this. Additionally, Wei Activities and social competitions are tactics that can be used to acquire new fans and create brand awareness. Although only used when aligned to specific goals, social activities are used in combination with content and KOL’s to complete a rounded social media program. Advertising: We’re not only the experts in creating great content, but also in advertising on social. This includes Weibo marketing, remarketing, and in-depth analytics to ensure you’re getting the best ROI.